Universal Studios vs Warner Bros: What’s Happening With Fantastic Worlds Park? While Universal Studios has quietly gone about moving forward with its rumored third theme park Fantastic Worlds, Warner Bros. may be looking to object to the name of the Orlando, Florida, attraction. Universal Studios filed for trademarks last June, but Warner Bros. recently filed two extensions for a “Time to Oppose for Good Cause” regarding the trademarked name, according to Orlando Weekly. Warner Bros hasn’t formally issued an objection to the name to date. It has been speculated that Warner Bros. may be issuing the objection because the new theme park from Universal is rumored to have a "Fantastic Beasts" attraction which could cause some confusion with the name Fantastic Worlds. Warner Bros. owns the rights to the "Harry Potter" films, but Universal features "Harry Potter"-themed attractions within its parks, including the plans for Fantastic Worlds. Universal has likely prepared for the name issue, Lance Hart of Screamscape speculated to Orlando Weekly, and will have a slew of back up names at the ready. Both Warner Bros. and Universal have had issues with their partnership in the past, but Fantastic Worlds could be the tipping point for the two entertainment companies, Orlando Weekly reported. 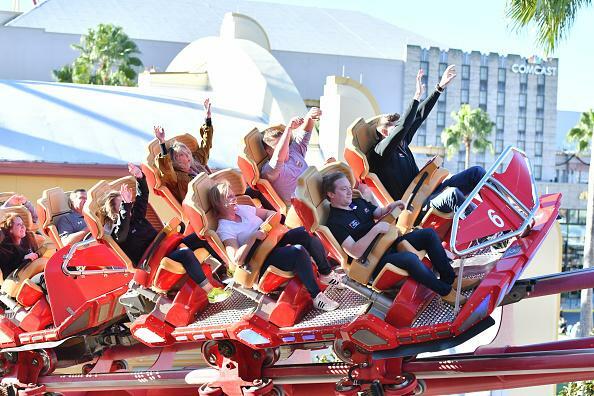 The two companies have hit a crossroad and are becoming fierce rivals in the entertainment space, each looking to gain tourists with bigger and better attractions and events. What’s Next For Disney Parks In 2019?